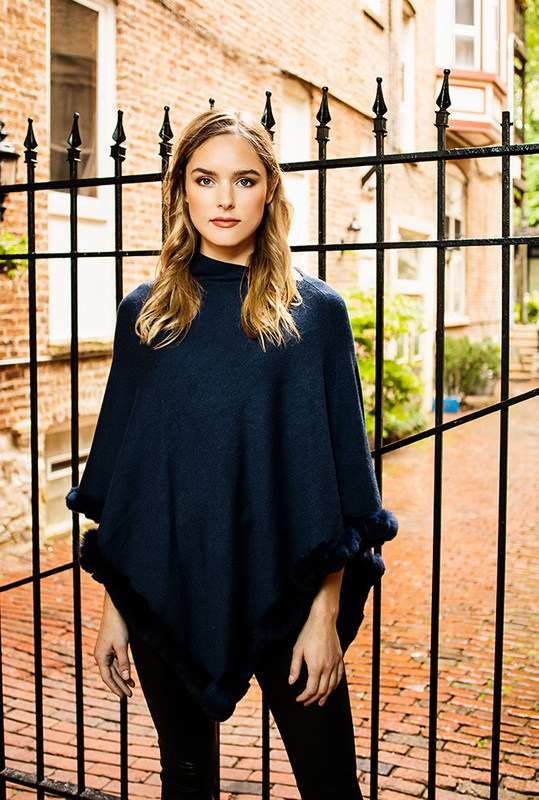 Multi-color checkered cashmere blend cape with fringe and a detachable fox collar. Available at York Furrier, in Elmhurst. 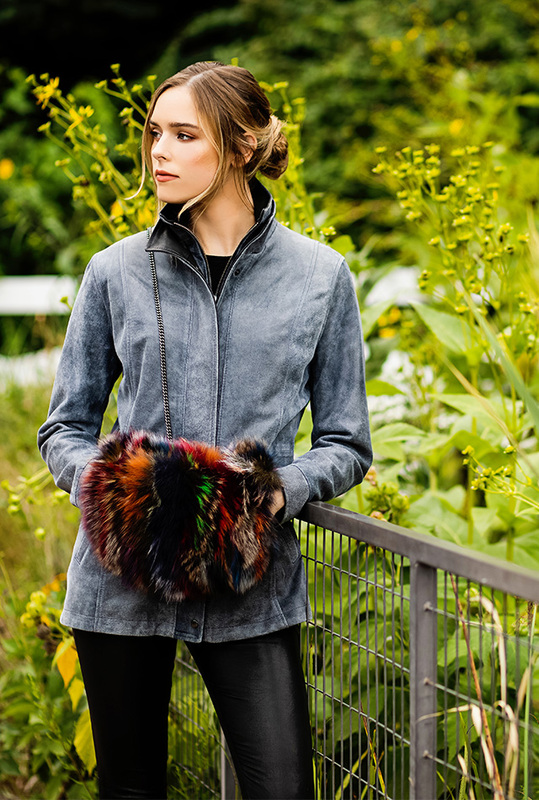 Atlantic/Coal denim leather zip-up jacket, accessorized with a multi-color dyed fox sections muff/purse. Available at York Furrier, in Elmhurst. 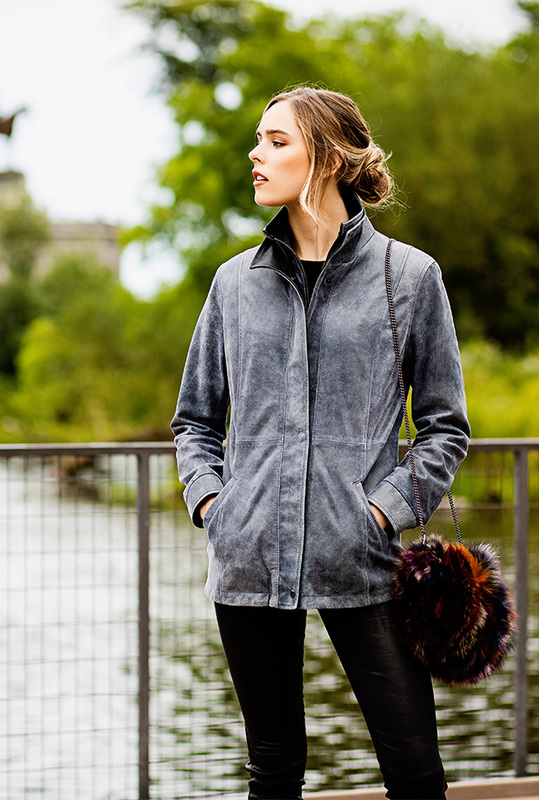 Rose blush dyed feathered silver fox and cashmere knit reversible jacket. Available at York Furrier, in Elmhurst. 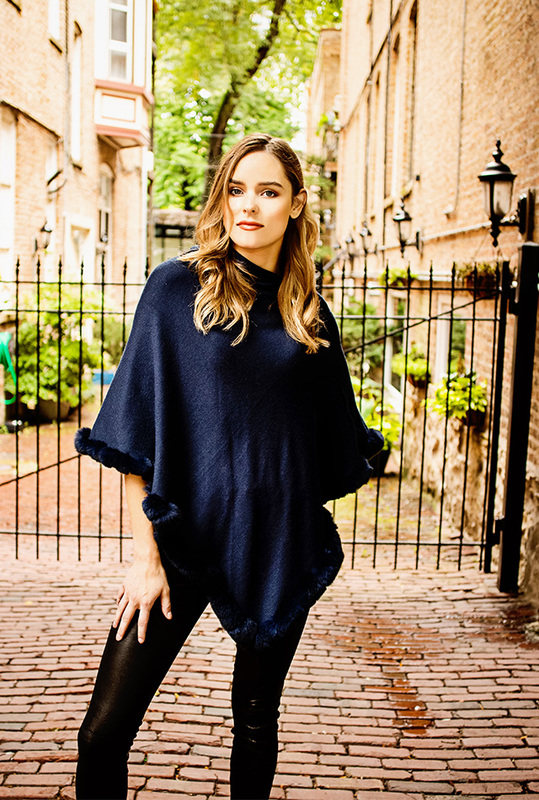 York Signature Style navy knit fabric poncho with matching fur trim. Available at York Furrier, in Elmhurst. Leopard silk blouse by Frame worn with black leather pants by Frame. Available at B. Jones, in Rockford. This entry was posted on Monday, September 24th, 2018 at 12:00 pm	and is filed under Northwest Woman, Top Posts. You can follow any responses to this entry through the RSS 2.0 feed. Both comments and pings are currently closed.